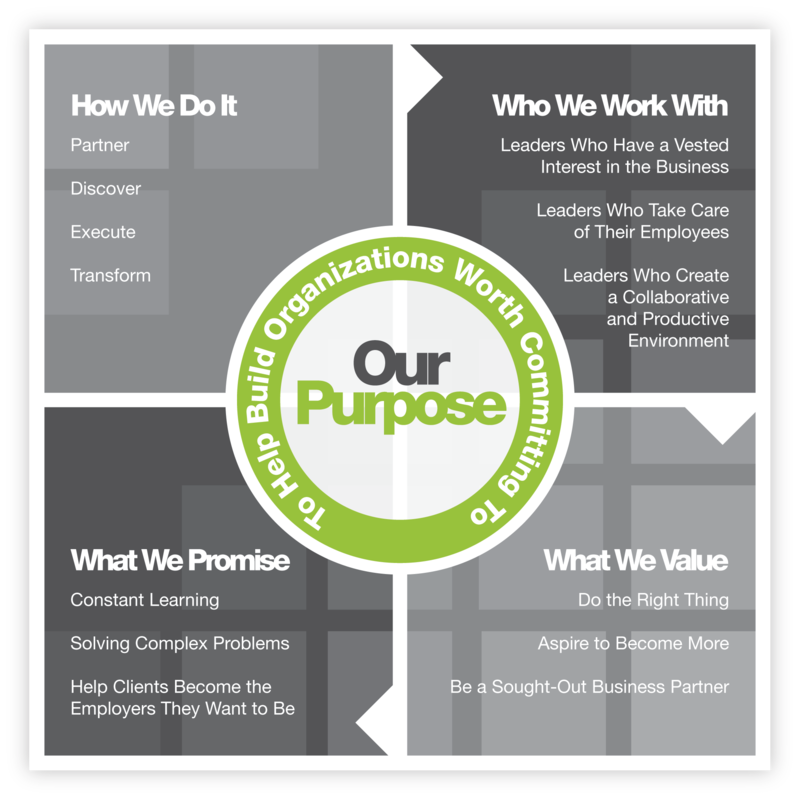 At Scott Haile & Company we help build organizations worth committing to. It is ingrained in our beliefs, our behaviors, and is the commitment we make to every client. We work with organizations to help them become the employers they want to be. We help create an environment where the best talent wants to work and where the employee experience drives morale and engagement. We help our clients become the envy of their competition. We are business solutions company working with Tennessee businesses to transform the employer – employee experience. Our goal in working with clients is to provide a new direction for employee benefits, combining the tactical efficiencies of benefits brokers with the customized, strategic thinking of human resource consultants. Our greatest celebrations are those we share with our clients. Using resources and strategies we’ve created, coupled with ongoing guidance, we help our clients achieve celebration-worthy results focused on keeping their employees productive and their businesses thriving. We’re a focused and driven group that is striving to always be learning new things that will help us in our jobs and help our clients in theirs. We believe in the power of staying current and relevant and continuing to lead our clients, who are constantly changing, learning, and growing themselves. As new generations take their places in the workforce, it is critical that we understand and adapt to the values they bring into their organizations. We are insatiably curious and love to solve complex challenges. Many of our clients are sophisticated organizations with intricate issues who rely on the type of work that we love to do and specialize in, especially as health care and compliance become more difficult to navigate and have higher consequences. It is important that we do the right thing. Period. We stand behind what we say and are driven to do the right thing with people both in business and personal relationships. We create an environment where everyone has a place to grow and have feelings of accomplishment in the work they do. 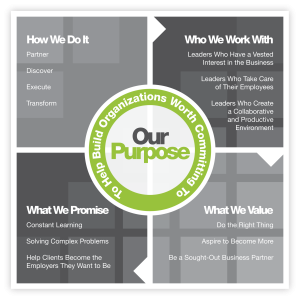 We work with clients in a way that allows us to be a desirable organization to partner with. Clients are driven by our reputation that we deliver impactful solutions, which change current operational status. As a part of the clients’ teams, we are able to make a marked difference in their businesses.